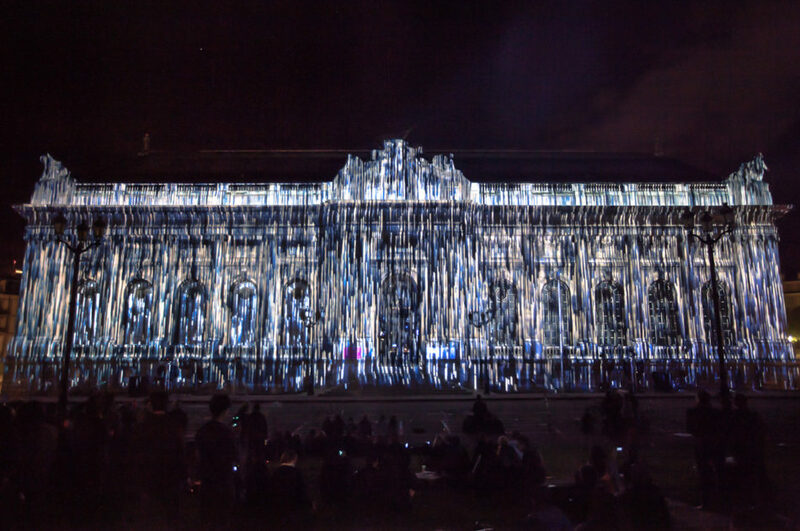 Evolució is a 3D mapping piece that revolves around the graphic and sound abstraction of the concept it is named after: evolution. It is construed as transformation, construction, and alteration of reality through time; evolution as a discontinuous creation process as well. 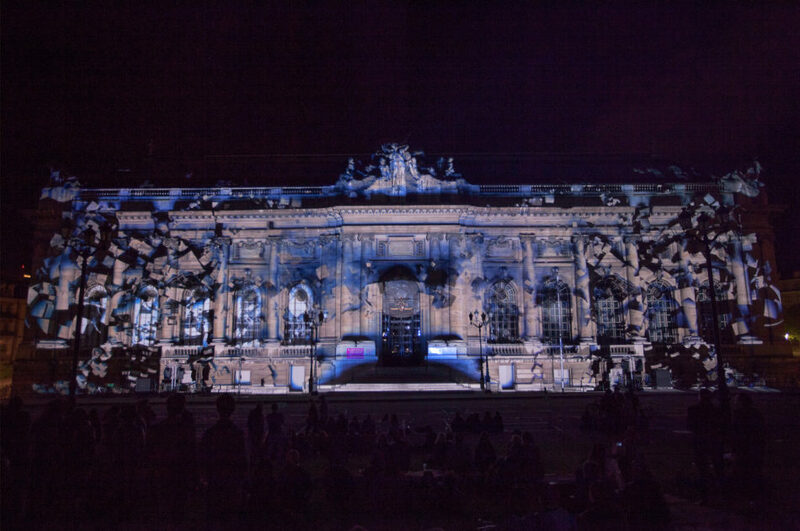 Created with 3D projection mapping techniques, this time, Evolució was projected onto the façade of the Musées d’art et d’histoire de Genève, though the piece takes the evolution concept even further: It was conceived as an open transformation process so that it can also be adapted to different façades and projection surfaces, and so that Evolució can continue its transformation process. Evolució is available for further projections, as it can be adapted to various physical formats, e.g. indoor structures, or different façades. If you are interested in exhibiting the piece or want more information about it, please do not hesitate to contact us.